This post is sponsored by detoxwater™ but the content and opinions expressed here are my own. From trying to get to bed early to eating a healthier diet, I really focused on my health and well being in 2016. But I’m only human! So I definitely backslid a little recently. I think my willpower – and common sense – both took extended vacations because I found myself saying yes to every slice of cake, every pile of perogies, and every alcoholic beverage placed in front of me. I don’t regret a single bite or sip, but I’m ready to start 2017 feeling great – and I’m not waiting for the clock to strike midnight to make healthy goals, I’m already righting the ship! 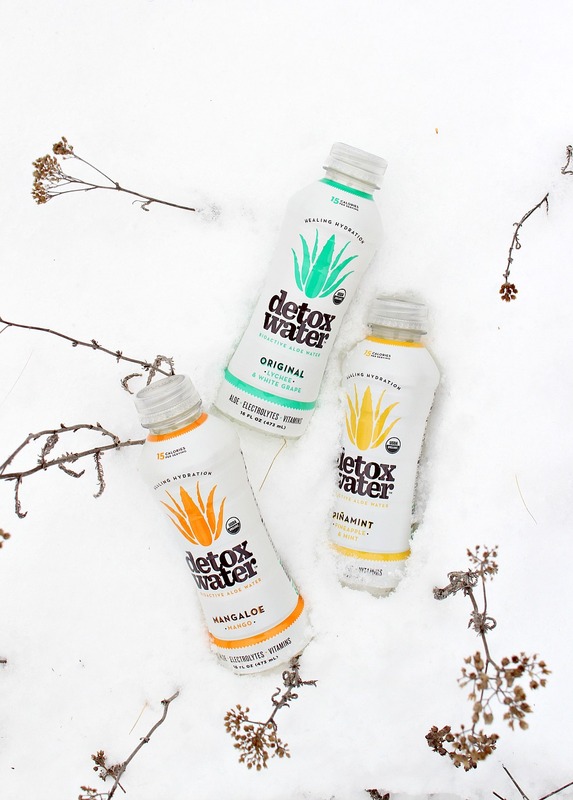 It doesn’t hurt that I was sent a case of detoxwater™ before the holidays, because not only has it helped me re-hydrate my body, it’s also helping to give my metabolism and digestive system a little TLC. Did you know aloe can do that? I already knew about aloe’s amazing burn-soothing properties, but I was oblivious to the benefits of consuming aloe, although I was definitely curious – especially after seeing some weird looking aloe cocktails online (yum). 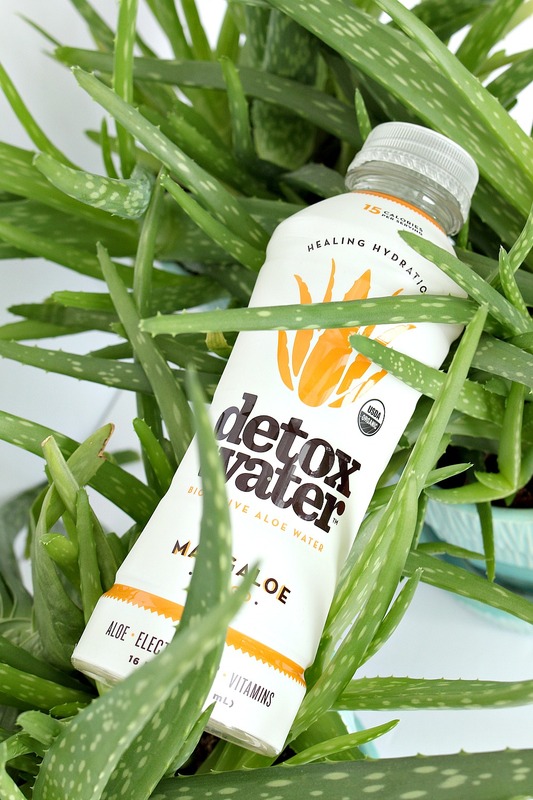 In turns out that in addition to 20 minerals (which help detoxify the body of metabolic waste) and 19 amino acids (which fight inflammation and bacteria), aloe also has naturally occurring polysaccharides. These long chains of sugar molecules are clinically proven to promote healthy digestion and nutrient absorption, plus they help support the immune system and stabilize blood sugar levels – which I definitely need right now. As an added bonus, these polysaccharides also improve skin’s elasticity, which helps skin retain its youthful glow. 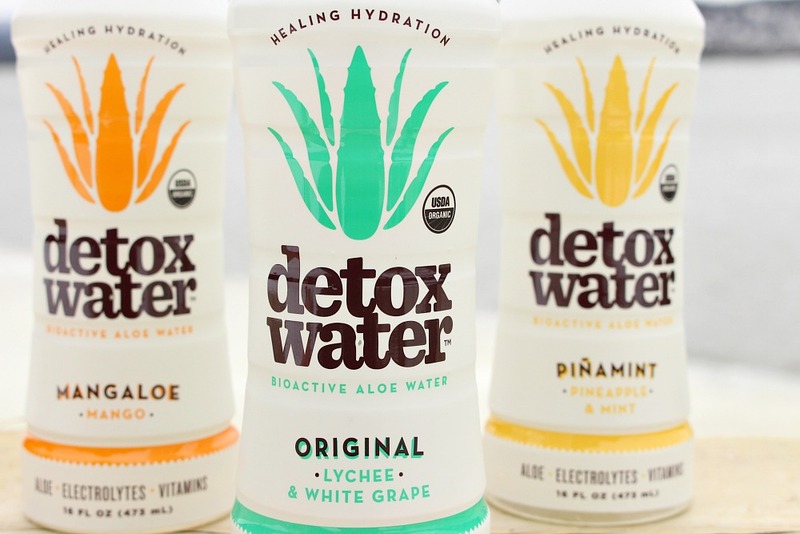 By incorporating detoxwater™ into my (once again) healthy diet, I’m feeling really good! 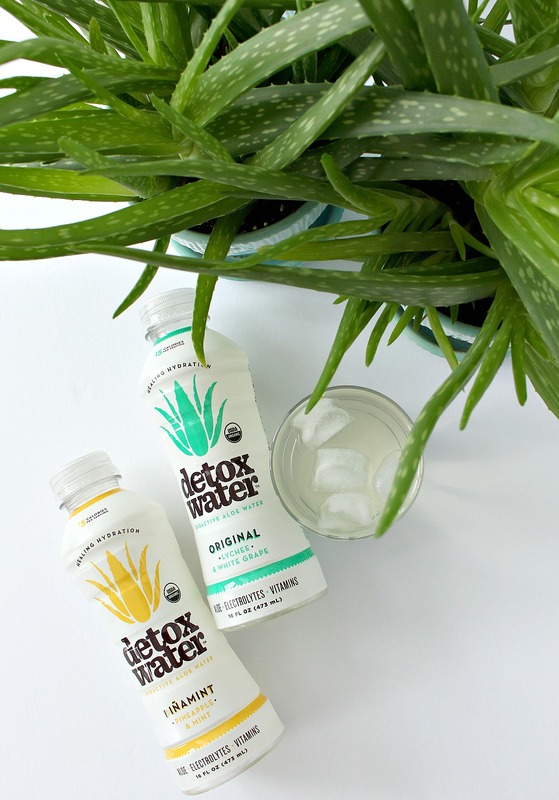 It’s fun to drink aloe water – it feels so strange! – and that’s helped kick start some other good-for-me habits. By the time we ring in 2017 I’ll be ready to tackle anything. 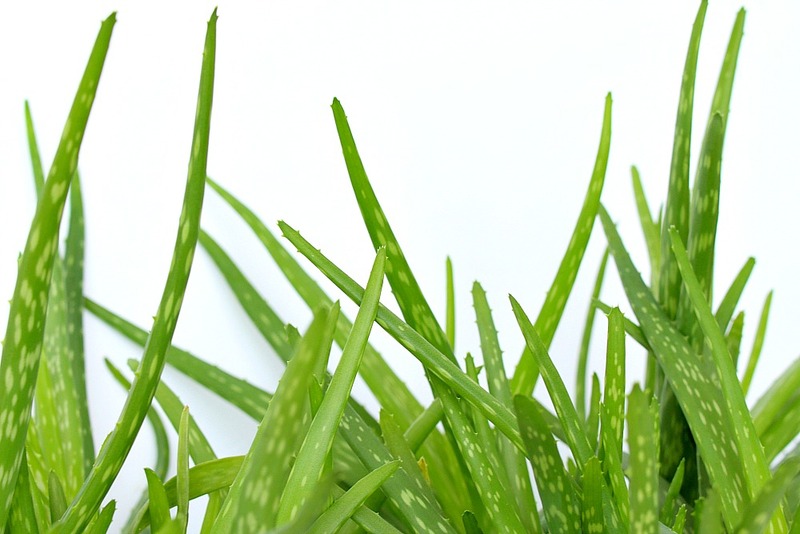 Learn more about the health benefits of aloe here! 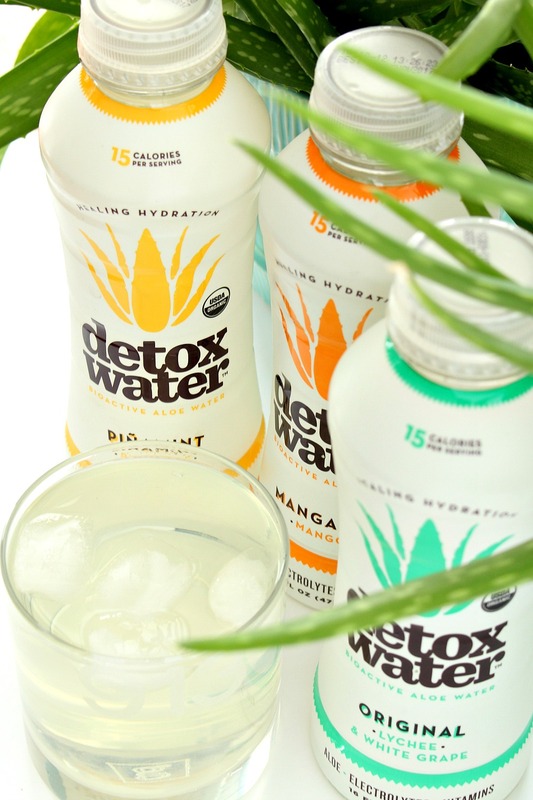 Or check out detoxwater™ on Facebook and Instagram. Wondering how it tastes? I was definitely expecting a really green tasting beverage, but it’s DELICIOUS! It’s mild and refreshing, and it comes in three soft and subtle fruity flavors: Lychee & White Grape, Mangaloe, and Pinamint. It’s sweetened with stevia (my favorite) and organic agave nectar, so it’s not packed with sugar, which I appreciate. It’s also free of any artificial flavors, colors, or preservatives (yay!) – and it’s only 15 calories a bottle. More good news: it’s also USDA organic, OU Kosher, vegan, and gluten-free. 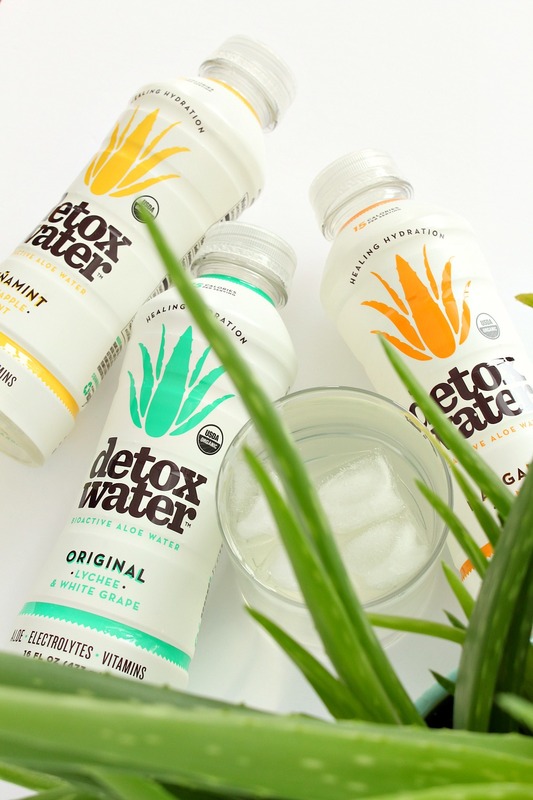 Curious about detoxwater™? 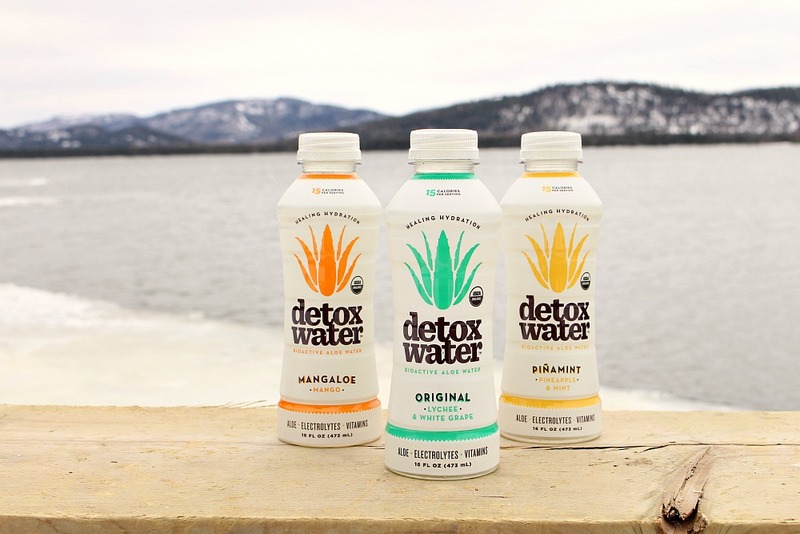 Now’s the chance to try it, because Dans le Lakehouse readers get 30% off by using the code ALOE30! I'll be interested to hear what you think of pure aloe juice – I have no idea what it tastes like without the added flavoring. I have found that it's been really great for times when I am really parched, like after I've been shoveling the driveway for a few hours. I've been staring at my aloe plants, wondering how I could make it myself, lol. Ya, it tastes pretty yucky- slightly bitter to my taste. My order hasn't arrived yet but I've had it before. Pure aloe juice or gel is meant to be taken as a supplement, anyhow, 1-2 tbsps daily, rather than a refreshing beverage. So I can endure the slightly bitter taste taken that way. I have watched a video on how to harvest aloe gel from your own plant, however, my measly plants wouldn't yield much. The process I saw was done on a beastly size aloe plant harvested from an outdoor garden bed grown in the tropical climes of Mexico.Another consideration is the aloin content- too much aloin isn't healthful and has a laxative effect, so care would have to be taken to avoid the gel closest to the green skin- likely easier with those gargantuan plants. There is benefit in the skin, too but next to the skin is where the aloin is. The juice I ordered is whole leaf but uses a process to reduce aloin content and the aloin is tested. That was my fear: that it tastes kind of bad on its own, lol. I should learn how to properly harvest the aloe gel because we use it for burns fairly often but I'm sure the way I am doing it isn't the right way.